(1) Department of Neurosurgery, Hospital General Universitario de Alicante. Alicante, Spain. (2) University of Pittsburgh Department of Neurosurgery. Pittsburgh, Pennsylvania, USA. (3) Laboratory of Neuroanatomy, Universidad Miguel Hernández de Alicante. Alicante, Spain. The Pineal gland and surrounding structures remains to be one of the most challenging areas to access in neurosurgery. Historically, three approaches have been described: supracerebellar infratentorial, supracerebellar combined infra-/supra- tentorial and interhemispheric occipital transtentorial. The aim of this chapter is to describe the first one with its midline and paramedian variants. Department of Neurosurgery, Hospital General Universitario de Alicante. The sitting position is generally preferred for the supracerebellar approach because it allows gravity to work in the surgeon’s favor by facilitating cerebellar retraction and reducing venous bleeding and pooling in the operative field. The disadventage involving the risk of air embolus can be minimized by taking proper precautions. As an alternative, the suprecerebellar approach can be performed in the three-quarter-prone or Concorde position. All the pictures showed in this chapter are taken with the sitting position. A midline incision (white line) to bone is used extending 1-2 cm superior to the inion (*) to C1-C2. However, an inverted U-shaped incision can be used too. The theoretical trajectory of transverse sinus is showed with the blue line. Suboccipital muscles are dissected laterally and held in place using cerebellar retractors in a typical fashion to reveal underlying bone. The widest part of the exposure should be at the level of the transverse sinus. The bone landmarks must be recognized in order to place the craniotomy: external occipital protuberance (*), superior nuchal line (SNL) and inferior nuchal line (INL). A craniotomy is preferred over a craniectomy because it is faster and seems to reduce postoperative discomfort. Slotted burr holes arde made at the sagittal sinus just above the torcula and at the lateral aspect of the transverse sinus bilaterally. It is not necessary to open the foramen magnum. 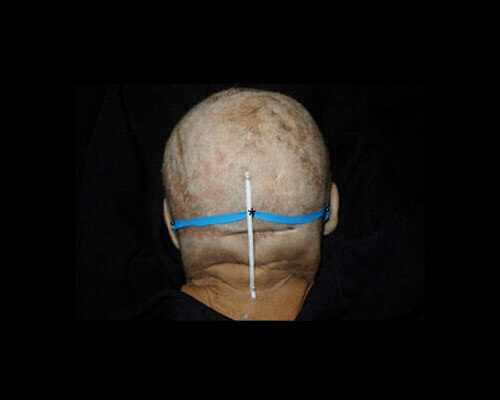 The main pupose of the craniotomy is to expose, without injuring, the torcula (T), the inferior portion of the superior sagittal sinus (SSS), the occipital sinus (OS) and both transverse sinuses (TS). The trajectoy of the dural sinuses has been drawn. 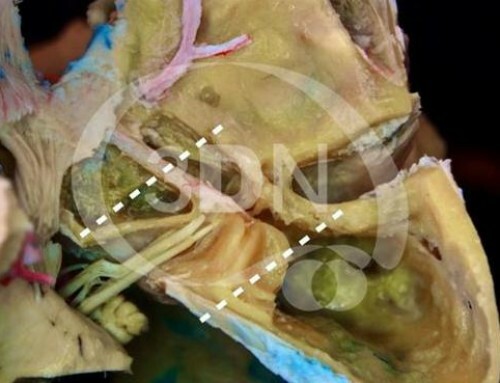 The dura is opened with a gentle curving incision extending from the lateralmost exposure of the transverse sinus to its contralateral exposure. The incisions should extend from each side down to the midline, where the midline venous sinus can be ligated and the small cerebellar falx can be divided. After the dura is opened, the bridging veins will be visible. 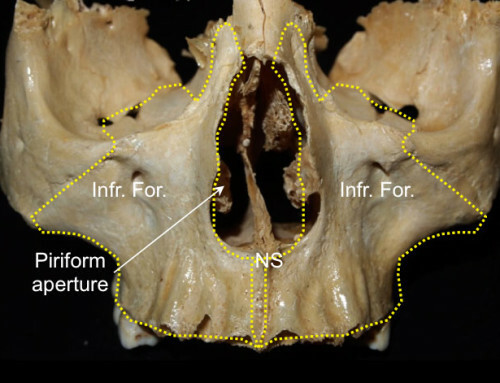 The inferior vermian (IVv) and hemispheric veins (IHv) on both halves of the suboccipital surface ascend and pass below the transverse sinus to empty into the sinuses in the tentorium. These should be cauterized and divided thereby freeing up the cerebellum from the tentorium. The superior hemispheric veins (SHV), which drain the tentorial surface, are divided into an anterior group, which empties into the Galenic system, and a posterior group, like the vein shown, which empties into the tentorial sinuses. TT: Tentorium; C: cerebellum; SVV: superior vermian vein. SVV: superior vermian vein; TT: tentorium. With the microscope in place, the arachnoid (*) overlying the quadrigeminal region is opened sharply. This arachnoid is usually thickened and partially opaque when tumors are present. TT: tentorium. After opening of the arachnoid membrane of the quadrigeminal region, it was possible to further define the region and the confluence of veins lying rostral to the straight sinus and the veins of Rosenthal laterally. Because of the tentorial notch and upper vermis, the operative field was very limited. Although bilateral SCAs and medial posterior choroidal arteries were clearly visible, the PCAs were not apparent (except for the P3 segments). The venous complex could be gently displaced to expose the lower part of the splenium, the pineal body, and the superior colliculus, but the area below the level of the superior colliculus was not visible. The deep posterior third ventricle was easily recognized through the space between the pineal body and the internal cerebral veins. 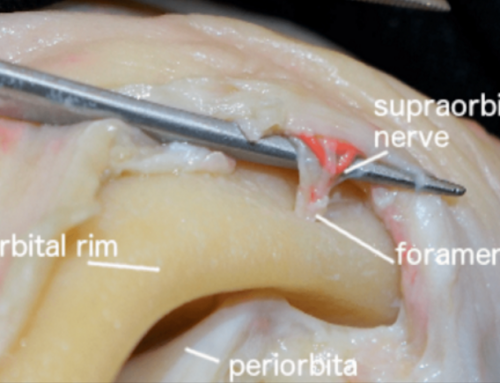 The lateral margin of the operative field was the pulvinar. Superior view of the venous complex. Gv: Galenic vein; Iov: Internal occipital vein; P: pulvinar; Sp: splenium of corpus callosum; TT: Tentorium. Bv: basal vein; Gv: vein of Galen; Iov: internal occipital vein. Bv: basal vein; Gv: vein of Galen; IOv: internal occipital vein; P: pulvinar; PCv: Precentral vein; Sp: splenium; Spv: splenial vein. The IOv ends in the pineal region venous complex. Anatomic and radiological studies show that this vessel drains mainly into the vein of Galen (right side) and the basal vein (left side). Bv: basal vein; Gv: vein of Galen; Icv: internal cerebral vein; PCv: precentral vein; Pg: pineal gland. PCv: precentral vein; Pg: Pineal gland; Sc: superior culliculus. PCv: precentral vein; MPCa: medial posterior choroidal artery. Bv: Basal vein; Gv: vein of Galen; Icv: internal cerebral vein; Iov: Internal occipital vein; P: pulvinal; Sp: Splenium. Bv: basal vein; Gv: vein of Galen; ICV: internal cerebral vein; IOv: internal occipital vein; MPCa: medial posterior choroidal artery; PCv: Precentral vein; Pg: pineal gland; Sp: splenium; Spv: splenial vein. 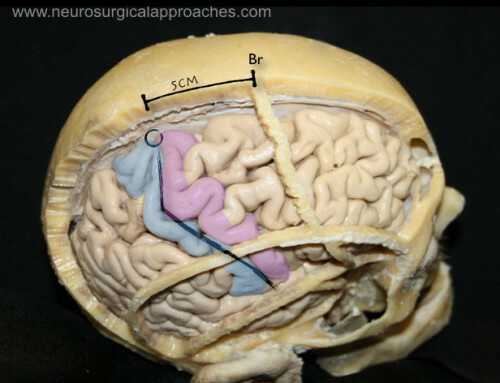 In the paramedian variant of the infratentorial supracerebellar approach, the retraction was advanced above the hemisphere lateral to the vermis. This approach was not as upwardly steep as the approach above the vermian apex and provided access to the pineal region, the lower part of the splenium, and gave greater access to the ipsilateral half of the cerebellomesencephalic fissure. Both the superior and inferior colliculi can be exposed and the arteries can be followed forward into the ipsilateral ambient cistern. Bv: basal vein; IC: inferior colliculus; ICv: internal cerebral vein; PCv: Precentral vein; Pg: pineal gland; SC: superior colliculus; SVv: superior vermian vein; V: vermis; Va: Vermian branches of SCA. Bv: basal vein; Gv: vein of Galen; Icv: internal cerebral vein. Bv: basal vein; Gv: vein of Galen; ICv: internal cerebral vein; IOv: internal occipital vein; PCv: precentral vein. Bv: basal vein; Gv: vein of Galen; ICv: internal cerebral vein; IOv: internal occipital vein; MPCa: medial posterior choroidal artery; PCv: Precentral vein; Pg: pineal gland; Va: vermian branches of SCA. 1-Fossett DT, Caputy AJ. Approaches to the posterior third ventricle and pineal region. Felicity Edge, editor. Operative neurosurgical anatomy. 1st ed. New York: Thieme; 2002. p. 100-106. 2-Giordano M, Wrede KH, Stieglitz LH, Samii M, Lüdemann WO: Identification of venous variants in the pineal region with 3D preoperative computed tomography and magnetic resonance imaging navigation. A statistical study of venous anatomy in living patients. J Neurosurg 106:1006–1011, 2007. 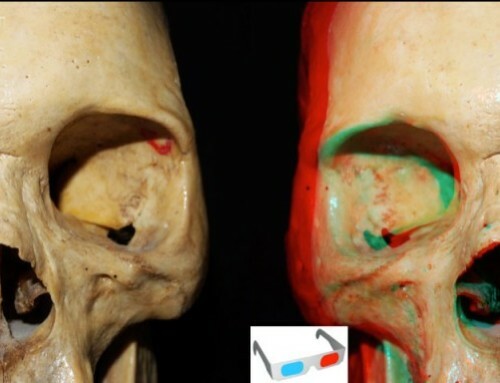 3-Kawashima M, Rhoton AL Jr, Matsushima T: Comparison of posterior approaches to the posterior incisural space: Microsurgical anatomy and proposal of a new method, the occipital bi-transtentorial/falcine approach. Neurosurgery 51:1208–1221, 2002. 4-Matsushima T, Rhoton AL Jr, de Oliveira EP, Peace D: Microsurgical anatomy of the veins of the posterior fossa. J Neurosurg 59:63–105, 1983. 5-Rhoton AL jr: Tentorial incisura. Neurosurgery [Suppl1]: S131-S153, 2000. 6-Rhoton AL Jr: The posterior fossa veins. Neurosurgery 47 [Suppl 3]:S69–S92, 2000. 7-Rhoton AL Jr: The cerebral veins. Neurosurgery 51 [Suppl 4]:S159–S205, 2002. 8-Sekhar LN, Fessler RG. Supracerebellar Approach to the Pineal Region Lesions. Timothy Hiscock, editor. Atlas of Neurosurgical Techniques: Brain. 1st ed. New York: Thieme; 2006. p. 549-555. 9-Yasargil MG: Paramedian supracerebellar approach, in Yasargil MG (ed): Microneurosurgery: Microsurgical Anatomy of the Basal Cisterns and Vessels of the Brain. New York, Georg Thieme, 1984, vol I, p 242.